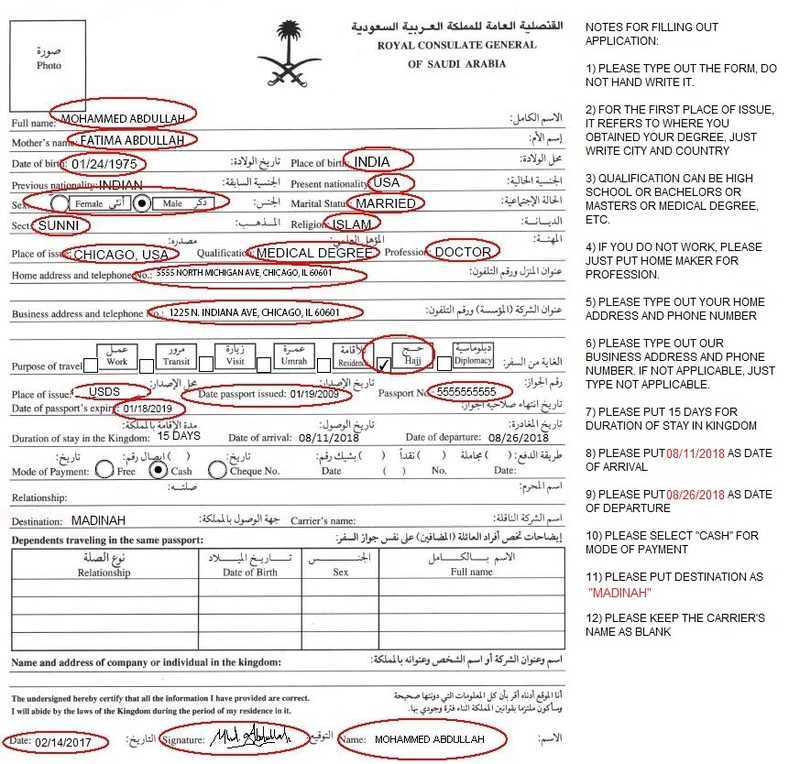 Sacred Hajj Registration Form (on-line version – this will be emailed to you). Sacred Hajj Terms and Conditions. All of the documents listed in Requirements below. Original passport valid till at least March 1, 2020 – with at least 4 empty pages and 2 side-by-side pages empty for visas. If you need your passport longer than April 12th, then please call or email us and figure out an alternative. For Non-American citizens, original Green Card along with color copies of front and back. 3 Recent Passport-size photos – White background with name, country and passport number written in CAPITAL LETTERS on the back of each photo. Sisters please make sure to take the picture with your hijab on. Original vaccination certificate for Meningitis vaccination for each person going on Hajj. Meningitis vaccine should have been taken after September 2016. Letter from a Masjid certifying that you are a Muslim if your legal name isn’t a Muslim name. This letter should be notarized. Copy of the marriage certificate if both husband and wife are traveling. If no marriage certificate exists, please provide a letter from the Masjid recognizing your marriage. This letter should be notarized. 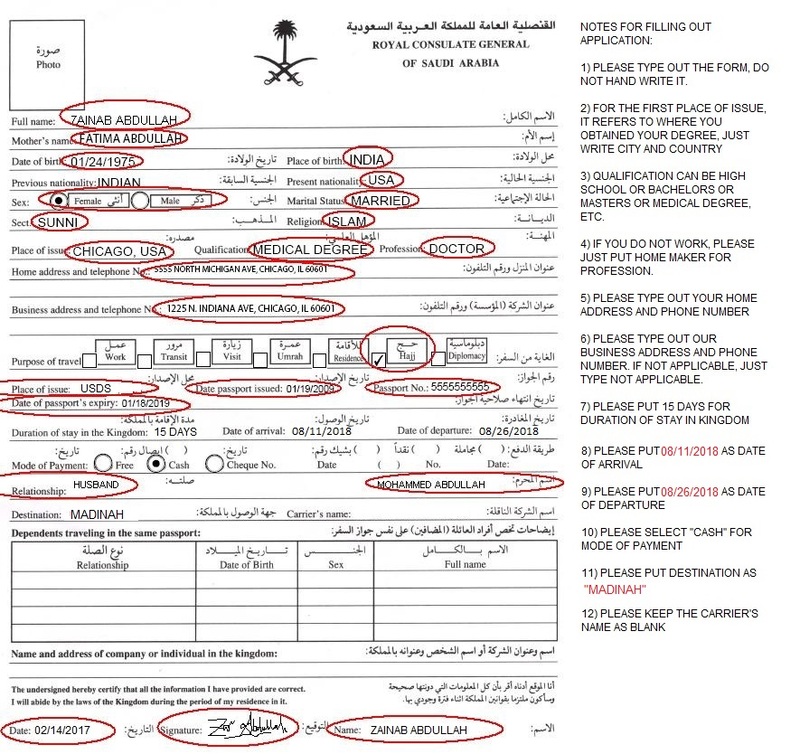 Copy of the birth certificate if traveling with mother. In the absence of the marriage certificate or birth certificate, please get a letter from your local Masjid. This letter should be notarized. Letter of relationship if traveling with a relative. The relative must be a mahram. Please get a letter from your local Masjid recognizing the relationship. This letter should be notarized.